Born in Crocefieschi on July 26, 1839, died in Genoa on October 16, 1899. Son of Luigi Giobatta of Antonio Maria and Gioconda Crocco; brother of Giuseppe the music critic and uncle of the famous opera director Ettore. Married with Domenica del Re had three children, Francesco Luigi, Domenico e Gerolamo Probo. Enrolled at the Academy of Fine Arts in Liguria, in 1869 gets a prize by Prince Oddone ornamental designs. Renowned landscape painter and miniaturist and a professor at the Academy "Giulio Monteverde" and other institutions of Genoa. Their ductility and intelligence in the ornamental work and miniature painting made him be called to work in multiple churches, also participated in projects and the execution of ornaments in the " Exhibition Italian American, 1892 " following the fourth centenary celebrations of the discovery of American held in Genoa. 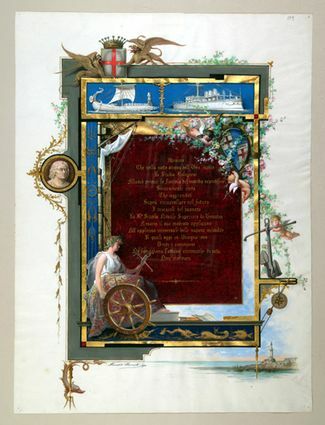 A sample of their work is the banner ( "the Gonfalone" ) of the Caravana Company Brotherhood , the oldest workers' union at the port of Genoa. 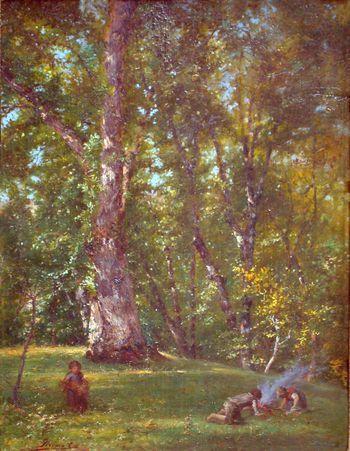 Other works can still be seen in private collections and museums. 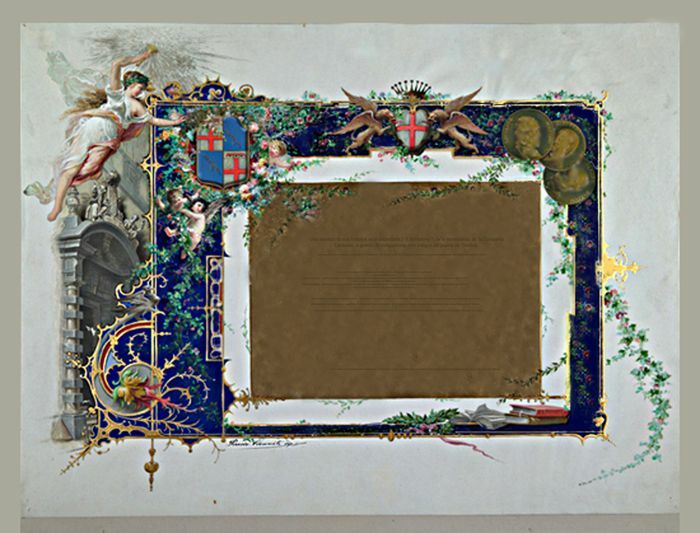 1882 - Parchment received from the University of Bologna, the heritage of its historical archive. Copyright © 2003-2019 . The access to the texts and images digitized al is offered only effect of its consultation with educational, recreational end or of investigation. It is not permitted its publication or reproduction by any physical or electronic middle without authorization on the part of .